Black Eyed Pea was named by our son when he was 10 years old. She is a super dark silver grey, with incredible density, luster and commanding presence. Her half sister, GLR Ventania, sold at the 2005 Private Collection Sale for a record $84,000. Her mother, when imported in 1996, had a micron count of only 18.Her sire is Silver Marquis, sire of our 3rd generation Champion Platinum Marquis. She had a gorgeous Synergy daughter in 2009 and a black Shavano son in 2011. 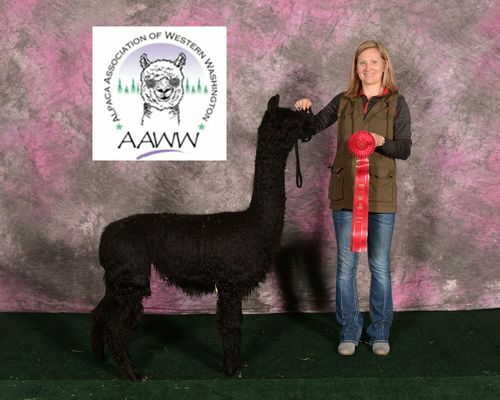 Pea's 2012 cria is a gorgeous black Rastamon daughter, GLR Paola who did well in the show ring in 2013. 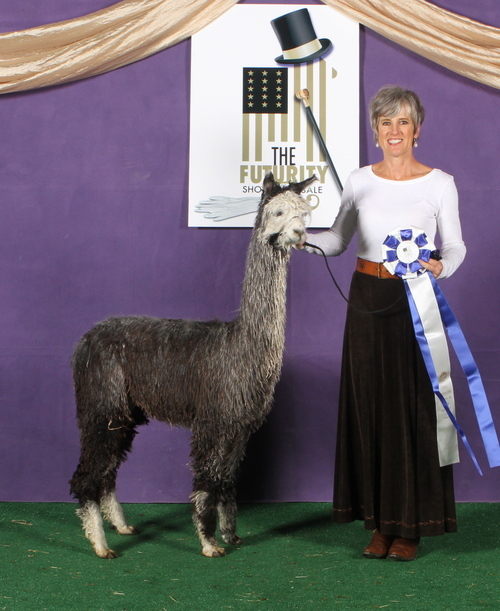 Her 2013 cria, GLR Pilar is a beautiful little classic grey GLR Rastamon female who is a member of our 2014 show team. Pea's 2014 Rastamon daughter is another black female, GLR Pia who will certainly show with us in 2015. With Black Eyed Pea's solid black and grey genetics she has done nothing but produce elite cria for us over the years. We bred Pea to GLR Kolaqua and she is expecting her next cria in August 2015. Pilar's first cria is a beautiful black female by Cinders! GLR Pilar is a striking classic silver grey female, sired by GLR Rastamon, a true black son of Shavano, who was the 2010 Herdsire of the Year. Rastamon's biopsy came back with a follicle density of 68. 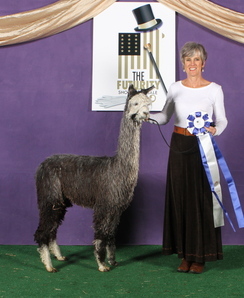 Pilar's mother, GLR Black Eyed Pea, also a classic grey female, has produced elite cria over the years and Pilar is no exception. Pilar showed her stuff in her first spin in the show ring at the 2014 AOA Nationals, placing 2nd in a very competitive class of gray juvenile females . At the 2014 AAA Futurity Pilar was 1st in her class of juvenile grey females.